New Audi Q3 vs New Volvo XC40 | What Car? With both driver’s seats set to their lowest positions, the XC40 places you 72mm farther from the road than the Q3. And while there’s plenty of adjustment in each car, the XC40 always feels more like a proper SUV and less like a jacked-up hatchback. R-Design XC40s and S line Q3s benefit from extendable seat bases to support long legs, while the XC40 also comes with adjustable lumbar support, for which Audi charges £255. So, while you’ll be happy enough to spend a few hours in the Q3, the XC40’s seats are even more comfortable. Still, being an Audi, surely the Q3 can win back a few points for interior quality? Well, certainly its upper dashboard and doors are pleasingly soft to the touch. But look lower down and there’s a surprising amount of scratchy plastic on show. 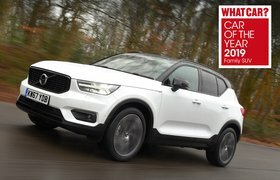 It isn’t bad, but it feels like what you’d expect to get in a Volkswagen rather than an Audi, so it’s actually the XC40 that wins for perceived quality. 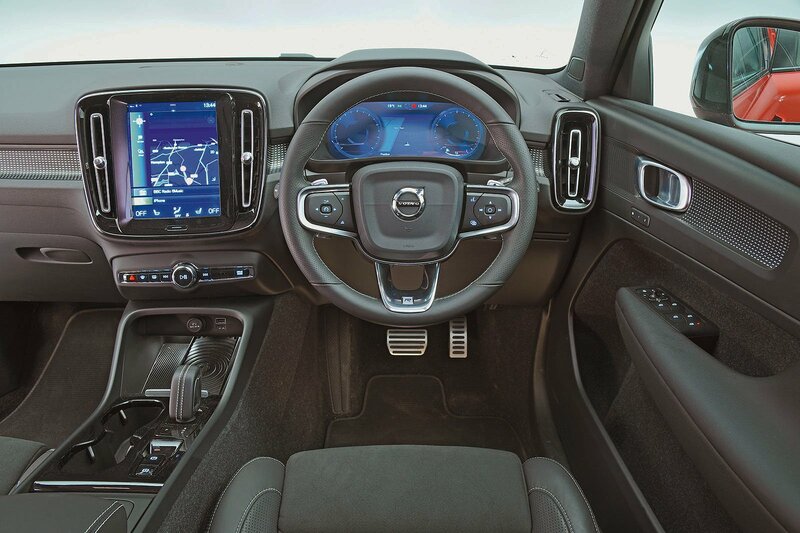 A digital instrument display is standard in both cars, with a 10.3in screen in front of you in the Q3 and a 12.3in display in the XC40. However, this is one instance where bigger isn’t better, because the Q3’s system offers greater configurability. The fact that you sit higher in the XC40 gives it superior forward visibility, although the way its side windowline kicks up towards the rear of the car means it has bigger over-the-shoulder blindspots than the Q3. Still, both get rear parking sensors as standard, while front sensors are an affordable extra. And in the depths of winter, you’ll be pleased to know that bright LED headlights are included, whichever car you choose.